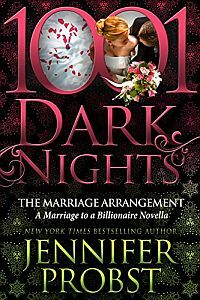 I originally thought the Marriage Mistake was my final book in my marriage to a billionaire series. But when I created my fab workaholic CEO Julietta, and left her without a happy ever after, I couldn’t sleep. Then Sawyer Wells popped into Marriage Mistake and tried to wrestle the scene away from my hunky hero Maximus. I beat him off, but he stayed firmly in my head, commanding me to give him his own woman. This was truly one of my all time favorite books to write. I’ll be scheduling tons of guest blog stops which I’ll post here. Is this the final book? Will there be anything new on the horizon? Another character appeared in Merger who captured my heart, and he’ll be getting his own story but I’m not saying another word. Not until you read the book. Mark your calendars for my brand new series that will feature both new characters AND the ones we love from the marriage series. Don’t forget to pre-order both. Can’t wait for the book!! I’m going to have to re-read the others again! Yay Karen can’t wait to hear what u think of Merger! *wow*! I’m L@@king 4 a New love babee 4 sure:)! I can’t wait for the Marrige Merger!!! Thanks so much Laura whoot! I love the series! I have read the other three books twice each! I was very intrigued by Sawyer, and by Julietta. Maximus is my all time fave though! I love your books. Am currently reading marriage merger. I just want to know if Venezia has her own book? I might have missed it. Also, am soooo looking forward to reading the next series you have. Hi Christina! No I never did a story for Venezia since she married Dominick already and they were together for a long time. But the story of Wolfe will be coming next year! When is Wolfe’s story going to be released? Does Wolfe have his own book ? Do you have a date of release ? Hi Salma! Yes Wolfe’s book is Searching for Beautiful and coming May 2015 it should be up for preorder soon!